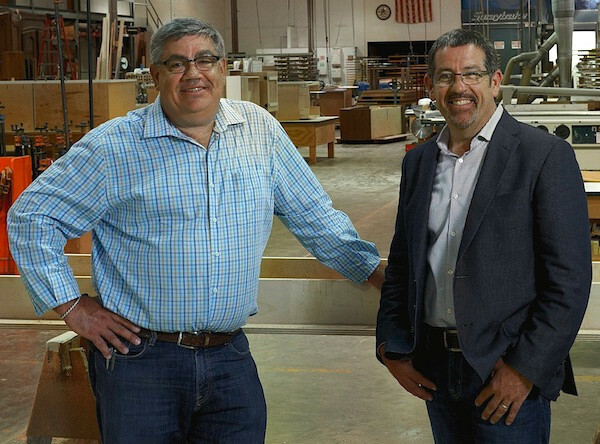 Exclusive Woodworking was established in 1983 on Chicago’s North Shore by brothers, John and Doug Durbin to manufacture and install the finest architectural millwork and cabinetry. For over 30 years, we have aimed to advance the American tradition of master craftsmanship in woodworking and joinery on a diverse range of projects that include residential, commercial, historic preservation and fine furniture production. Our 35,000 square foot state-of-the-art facility and highly experienced workforce allow us to marry old world techniques alongside the most technologically advanced methods of fabrication and finishing that are available in our industry and the strong relationships we have established with craftsmen and specialty suppliers allow us to respond to each project's unique specifications with the expertise and materials needed to create extraordinary spaces. We manufacture to the highest quality standards creating a product that consistently exceeds our client’s expectations.